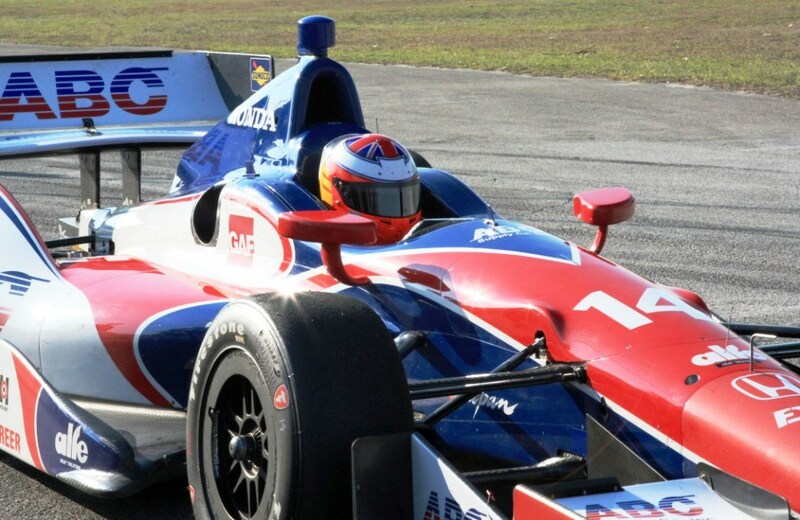 Plowman will drive the Al-Fe Heat Treating Honda in the inaugural Grand Prix of Indianapolis on May 10th. He will drive the No. 41 ABC Supply Honda in the Indianapolis 500 on May 25th. Both races will be broadcast live by ABC-TV. IndyCar rookie Martin Plowman will do the “Indy Double” this May, thus taking part in the IndyCar Series’ newest race and, two weeks later, its most historic competition at Indianapolis Motor Speedway. The 26-year-old Englishman will drive the No. 41 Al-Fe Heat Treating Honda in the Grand Prix of Indianapolis and the No. 41 ABC Supply Honda in the Indianapolis 500 it was announced by the ABC Supply/AJ Foyt Racing team today. The venture marks the first time that Al-Fe Heat Treating will be the primary sponsor of an Indy Car. The company began as an associate sponsor of the ABC Supply/AJ Foyt Racing team in 2011. The Ft. Wayne, Indiana-based company has continued to build its involvement in the IndyCar Series over the past three seasons; Al-Fe started as an associate sponsor of the No. 41 car in the Indy 500 and became a season long associate sponsor on the No. 14 car in the IndyCar Series. “We, at Al-Fe Heat Treating, are very excited about being a primary sponsor with AJ Foyt Racing for IndyCar’s inaugural Grand Prix of Indianapolis in our home state and before our home crowd!” said Kurt Westman, President of Al-Fe Heat Treating. “Larry [Foyt] and I have discussed this possibility over the last season and we feel this is the perfect venue for us to step-up with the team. “Being part of bringing Martin back to IndyCar is special and having him run both races at Indianapolis will allow us to build momentum and teamwork going into the ‘500’. I am looking forward to meeting Martin at this Wednesday’s practice at Sebring,” Westman added. Plowman, who will make his Indy 500 debut, has competed on the 2.5 mile oval twice in the Indy Lights Series, finishing fifth in 2010 for Andretti Autosport. He went on to finish third in the series championship that year. In 2011, he competed for Sam Schmidt Motorsports in three IndyCar races, all of which were on road and street courses. His best finish was 11th in the Baltimore Grand Prix. Plowman will test the Al-Fe Heat Treating Honda on the Indianapolis Motor Speedway road course along with regular ABC Supply driver Takuma Sato on April 30 when the IndyCar Series hosts an open test for all participants. The Grand Prix of Indianapolis will be broadcast live by ABC-TV on May 10 starting at 3:30 p.m. ET. For the 50th straight year, the Indianapolis 500 will be broadcast by ABC-TV with the live pre-race show starting at 11:00 a.m. ET on May 25th.